Microsoft’s rumoured premium Lumia handsets, the Lumia 950 (codenamed Talkman) and Lumia 950 XL (codenamed Cityman), have been leaked in press renders. The leak comes courtesy one of the most reliable online tipsters Evan Blass, aka @evleaks, who posted press renders of both the Talkman and Cityman (see above) smartphones. 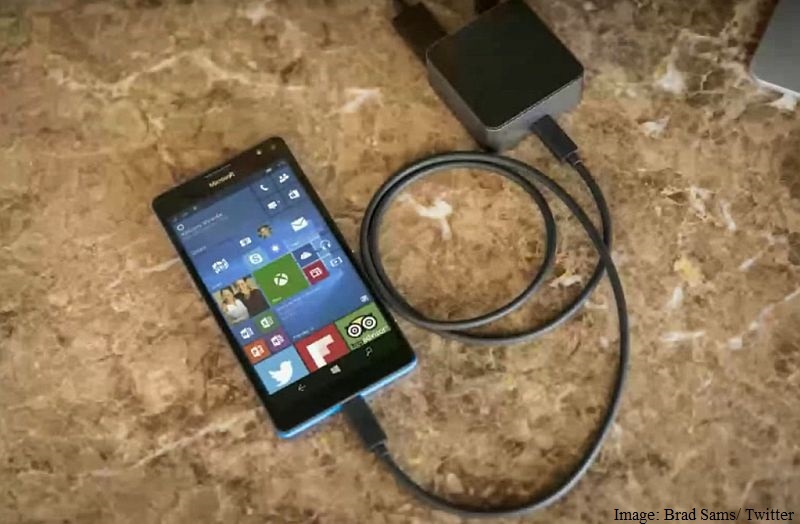 The first leaked live image shows the alleged Lumia 950 XL in a Blue colour variant being charged and shows the home screen of the smartphone. Some of the apps visible on the home screen include Xbox, Office suite, Flipboard, Twitter, and Skype among others. 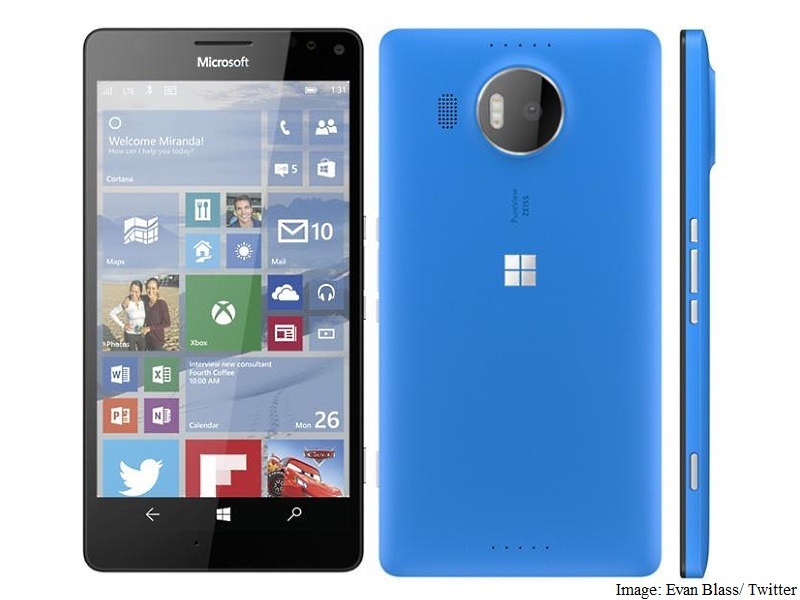 The leaked press render also shows the Lumia 950 XL smartphone’s Blue colour model. The handset is seen featuring a Windows logo on the rear panel alongside the primary camera and dual-LED flash. The right side of the handset is seen featuring physical buttons for power, volume rocker, and camera. The front panel holds the display and the Microsoft logo branding above the screen. 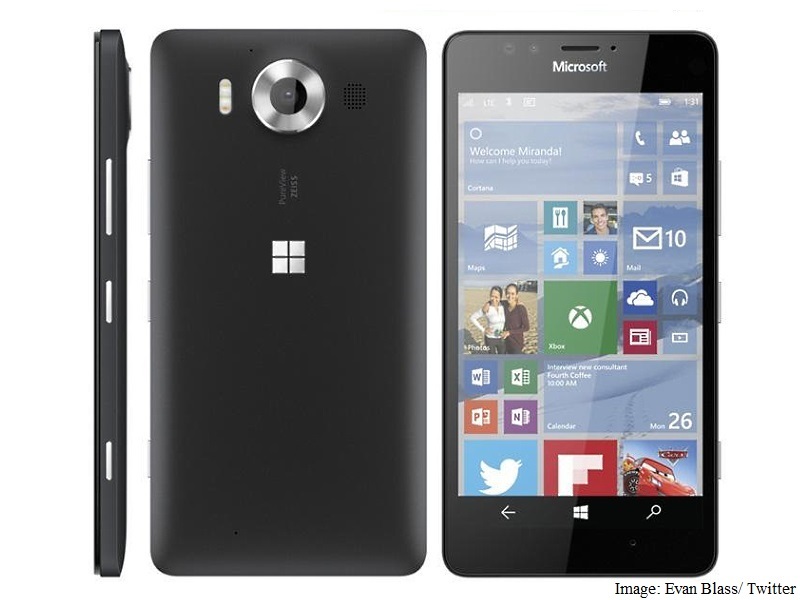 The Microsoft Lumia 950 (codenamed Talkman), on the other hand, was spotted in a Black colour variant. Much like the Cityman, the Talkman smartphone features the Windows logo at the rear and Microsoft Logo branding above the display. The side panel holds the power, volume, and camera button. The rear camera on the Lumia 950 looks to be surrounded by a chrome ring with the dual LED flash. Both the Lumia 950 and 950 XL smartphones can be spotted with onscreen home, back, and search buttons. Some of the purported specifications of the Microsoft Lumia 950 (see below) tipped include a 5.2-inch QHD Oled display; a 64-bit hexa-core Qualcomm Snapdragon 808 SoC; 3GB RAM, a 20-megapixel PureView rear camera; a 5-megapixel wide-angle front-facing camera; 32GB of inbuilt storage expandable via microSD card; USB Type-C; Qi wireless charging support, and a 3000mAh removable battery. The Microsoft Lumia 950 XL is said to come with a 5.7-inch screen size with the same resolution; a 64-bit octa-core Snapdragon 810 SoC, a triple-LED flash for rear camera; a 3300mAh removable battery; a 1-mm silver ring inside the circumference of the black camera pod, and aluminium side buttons. A report emerging from Korea recently contradicted the October launch timeline for the Lumia 950 and Lumia 950 XL smartphones. It added that Microsoft may showcase the premium smartphones at IFA in early September. Recently, a report claimed that the next flagship smartphone from Microsoft would be called the Surface Mobile.